This is ViG's Blackjack Early PayoutTM. 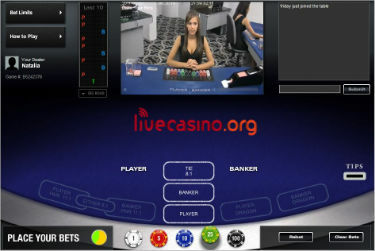 Play up to three hands (all 'one-to-many'), and follow the basic strategy prompt, play it your way, or take the offered early payout. European (single zero) roulette with access to racetrack for neighbor bets and outcome history indicators. Dealer chat available and dealers are lively! Fairway is one of a growing number of online casinos powered by ViG ... it also happens to be owned by ViG. 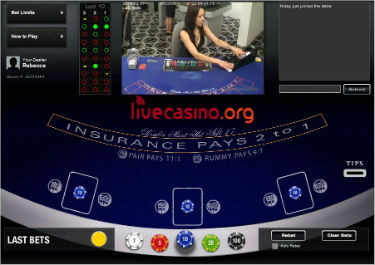 Unlike the larger, full service online gambling operators, live games are the core offering at Fairway so support, comps, tournaments and promotions all revolve around the live games which is a good thing. The downside to this and other ViG casinos is that being base in Costa Rica they are effectively self-regulated.